Apple built iTunes to exclude features that let you copy music from your iPod to a computer. They did this to ease music industry concerns about unauthorized sharing of music via the iPod. In doing this, though, Apple also cut off some uses that are legitimate and convenient. For instance, if you buy a new computer, the easiest and fastest way to transfer your iTunes library to a new machine is to copy from your iPod. You might also want a back up of the content on your iPod in case your computer's hard drive is damaged (but, you do use another backup strategy, right?). Luckily, dozens of third-party developers have created programs that let you back up and copy iPod libraries, or transfer iPod libraries to other PCs. CopyTrans, formerly known as CopyPod, is one such program. CopyTrans is a Windows-only program that scans the contents of your iPod, iPhone, or iPad and allows you to either archive it or import it into iTunes. The process is simple: connect your iPod, wait for CopyTrans to scan it, choose your transfer settings, and then sit back while CopyTrans does its thing. We last reviewed CopyTrans at version 1; version 4 is an upgrade in this department, thanks to the Smart Backup feature, which compares the iPod to the destination iTunes library and lets you know which items aren't in iTunes, which makes deciding what to transfer clearer. This version of CopyTrans also sports interface improvements that make it easy to see which items have been transferred and what kind of file each item is (music, podcast, video, etc. ), as well as new browsing and sorting options. 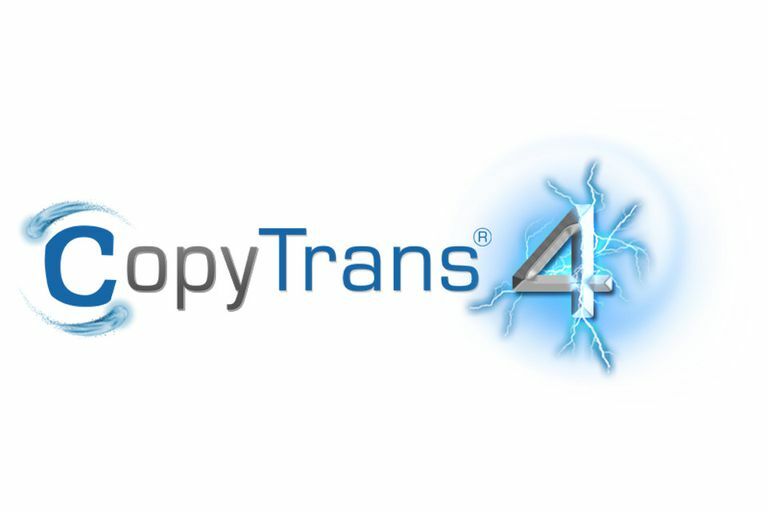 While CopyTrans makes it easy to decide what you want to transfer, it performs the transfer slower than some other programs I tested. Using our standard test of 590 songs, a 2.41 GB selection, CopyTrans completed the transfer in 19 minutes. This was about twice as long as it took the speediest programs, but much less than the very slowest. Despite the slowness, CopyTrans works very well. It handled all operations for me and at the end of the process, almost everything had gone smoothly. My music and videos played fine and even data like playlists, play counts, and last-played date came through fine. The major omission I found came when trying to transfer from an iOS device running iBooks. Though CopyTrans could identify iBooks files, and treated them as if it could transfer them, it couldn't. Whether we tried to transfer the iBooks files to iTunes or a folder, the backup always failed. Being able to backup or transfer iBooks files is important for a full-featured backup program; we hope that's added to a future version. All in all, CopyTrans is a great option for people who need to transfer or backup their iPod libraries. Though there are some small flaws like speed and the iBooks problem, the powerful features and simplicity make CopyTrans a terrific choice for copying iPod libraries to new computers.